I am proud to officially be able to say that, for the fourth year in a row, Municipal taxes will not increase in Cherry Hill for a fourth consecutive year under the Township budget adopted Wednesday night by the members of Township Council. In addition to holding the line on taxes for another year, the $67.5 million plan includes more than $8 million for local road improvements in the coming year -- more than double the amount allocated for roadwork in 2015 -- and invests heavily in other important services such as public safety and recreation. I am tremendously proud of this year's budget, which not only reflects my and Council's ongoing commitment to fiscal responsibility, but also invests heavily in infrastructure and supports strong municipal services. Click here to read more about this year's budget; or click here to read my budget address to Council. Mayor Cahn and Council break ground on new athletic fields at Croft Farm. This week, the members of Council and I proudly broke ground on two new multi-use athletic fields on the grounds of historic Croft Farm. I was joined by Council members Sara Lipsett, Brian Bauerle, Sara Lipsett, Carole Roskoph and Melinda Kane for a brief ceremony, along with Camden County Freeholder Jonathan Young and Cherry Hill Soccer Club board members and players. When completed, these fields will serve the children involved in our local sports leagues, including soccer and lacrosse. Click here for photos, and click here to read more about the project. The Cherry Hill Police Department is preparing for next week's Papal visit, which is expected to bring more than a million visitors into our region from Sept. 25-27. The CHPD Traffic Unit has released details of parking restrictions and other traffic controls planned in the area of the Woodcrest PATCO Station from Sept. 25-28, when Pope Francis visits Philadelphia for the World Meeting of Families. In anticipation of potentially overwhelming traffic congestion in the area -- particularly on Saturday, Sept. 26, and Sunday, Sept. 27 -- these traffic controls will be in place on both main roads and residential streets in the neighborhoods closest to the train station. These measures are intended to enhance the safety of motorists and pedestrians traveling into the city for the Pope's visit, and to alleviate any potential negative impacts from the event to our residents and neighborhoods. Click here for the detailed traffic plan and related information. My office and the CHPD will continue to work closely together to try to minimize the effect of this event on our community. Mayor Cahn and members of Council present a proclamation to the Woodcrest Red Volleyball Team. The members of Council and I presented the Woodcrest Red Men's Volleyball Team with a special proclamation Wednesday, marking the end of another successful season. Woodcrest Red was named Champion of the Cherry Hill Association of Pools Volleyball League for 2015, and wrapped up its season with a victory over Kingston Swim Club on Aug. 8. Woodcrest Red finished the championship tournament with a 9-1 record. Congratulations to the entire team: Captain Mike Kon, Alfred Arcaroli, Jeremy Gardner, Rob Kolmins, Boris Kon and Rob Spier. Click here for photos of the presentation. Chief Monaghan and Mayor Cahn help bag groceries at ShopRite on Evesham Road. Councilwoman Carole Roskoph and I joined Police Chief Bud Monaghan and members of the Cherry Hill Police and Fire Departments to 'Help Bag Hunger' at local ShopRite supermarkets on Wednesday, Sept. 16. The daylong event, part of ShopRite's 2015 Partners in Caring campaign, is a way for local stores to raise public awareness of the issue of hunger within our community, and funds raised benefit the Food Bank of South Jersey. Cherry Hill Township is proud to support this very worthwhile event. Thanks to ShopRite for inviting us to participate for another year. Click here for photos, and to learn more. As part of the 2014 Road Maintenance Program, the Township's Engineering Department will be continuing work on Split Rock Drive and the Country Walk entrance road on Monday, Sept. 21. Weather-permitting, crews will work from 7 a.m. to 3 p.m. Trash collection and school bus traffic will remain uninterrupted during construction. The Township will make every effort to minimize any impact to nearby residents. Residents with questions or concerns about these projects can contact the Department of Engineering at (856) 424-3203 from 7 a.m. to 3:30 p.m. Monday through Friday. Click here for more information. Council members Sara Lipsett and Brian Bauerle smile before the Fox Trot 5K on Sept. 12. Council Vice President Sara Lipsett, Councilman Brian Bauerle and Councilwoman Carole Roskoph kicked off the Fox Hollow Swim Club's first-ever Foxtrot 5K on Saturday, Sept. 12. Almost 200 runners turned out for the run, which followed a USATF-certified course through the beautiful Fox Hollow neighborhood. In the process, they raised funds to support both the swim club and the Cherry Hill Education Foundation. Thanks to the Fox Hollow Swim Club and everyone involved in planning the Fox Trot 5K for your vision and dedication! Click here for a few photos of Council at the event; view additional images on the Fox Trot 5K Facebook page. The Cherry Hill Fire Department offers a variety of training courses for firefighters, EMTs and civilians. There are a variety of classes taking place from September-December. Click here for course listings and descriptions, and for enrollment information. Seniors can learn about Township services and enjoy lunch at Cherry Hill's Senior Festival, Sept. 21 at Town Hall. Senior Festival is this Monday! The Township's Senior Festival gets bigger and better every year, and this year's event promises to be the best yet! Beginning at 3 p.m. this Monday, Sept. 21, the Carmen Tilelli Community Center will play host to exhibitors, demonstrations, information, prizes and food -- all of which is free to Cherry Hill Gold Card holders. Attendees can enjoy breakout sessions on the topics like medicare, heart disease, reverse mortgage, volunteer opportunities and more! Cherry Hill residents with a Gold Card will receive a free boxed lunch. All residents ages 55 and up qualify for a Gold Card - and if you don't have one, you can obtain one today by contacting Senior Services Program Coordinator Gaye Pino at (856) 661-4800, or e-mail gpino@chtownship.com. Monday promises to be a great event. We hope to see you there! Calling all photographers! 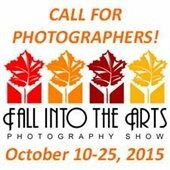 The Cherry Hill Arts Board will host the Township's annual Fall Into the Arts Juried Photography Show from Oct. 10-25, 2015, inside the Croft Farm Arts Center. Local photographers are invited to submit their work to be displayed during this special event. The show is open to all experience levels and ages; not all work will be selected to be hung. There is a $10 fee per entry, maximum three entries per person. For more information and guidelines, visit http://CherryHillArts.blogspot.com or email Arts@CHTownship.com. 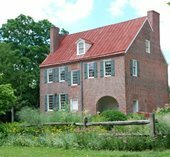 Historic Barclay Farmstead celebrates its 200th anniversary in 2016. Local photographers are invited to help us celebrate a milestone for Barclay Farmstead! The historic site will mark its 200th anniversary in 2016, and Cherry Hill Township and the Friends of Barclay are planning 12 months of exciting programs and events to commemorate the occasion. Help us kick off the festivities by contributing to our "Barclay 200" Photo Contest, and submit your best, most recognizable photo of the property for a chance to be featured on one of the covered of the 2016 Cherry Hill Community Magazine. Winning entries will also be displayed during Fall into the Arts at the Croft Farm Arts Center. The deadline to apply is Oct. 7. Submit photos to Events@chtownship.com; for more information, call the Recreation Department at (856) 488-7868, or click here. 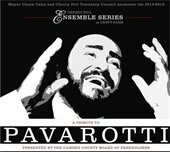 Cherry Hill Township and the Camden County Board of Freeholders present 'A Tribute to Pavarotti' on Oct. 25. The Township will host the annual Harvest Festival on Oct. 18 at historic Croft Farm. 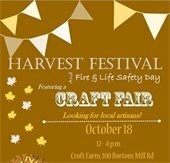 This year's Harvest Festival and Fire & Life Safety Day will be held from noon to 4 p.m. Sunday, Oct. 18, at historic Croft Farm, 100 Bortons Mill Road. In addition to a new Craft Fair, this year's Festival will feature plenty of family-friendly fun and entertainment for everyone, including a pumpkin patch, farmer's market, moon bounce, rock wall, face painting, balloon artists, a petting zoo, fire hose squirt, the Kid Card ID program, interactive activities with the Cherry Hill Police and Fire Departments, and much more! For more information about Harvest Festival, email Events@chtownship.com, or stay tuned to the Township website for updates! Make beautiful 'up-cycled' home crafts with Sustainable Cherry Hill. Kick off the autumn season with Sustainable Cherry Hill, which will host a special hands-on fall craft event using upcycled waste material from 10 a.m. to 2 p.m. Saturday, Sept. 26, at Croft Farm. 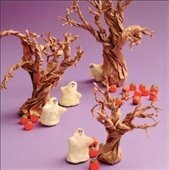 Participants will create a fun t-shirt bag and beautiful home decorative items. The event is free, but please reserve your seat today at www.SustainableCherryHill.org. This event is presented by Sustainable Cherry Hill's Art and Sustainability Task Force. Click here for more information. The resources and possibilities are endless when you have a library card! During the month of September, all new members will receive a special welcome packet filled with everything needed to make the most of what CHPL has to offer. Also, join us on social media for a photo scavenger hunt and you could win a $25 gift card. Click here for details. Please join us for these and many other free special events this week at the Cherry Hill Public Library, 1100 N. Kings Hwy. Reminder: The Library is closed on Sundays through Sept. 20. Learn how strength training can be powerful in reducing the signs and symptoms of numerous diseases and chronic conditions. No registration. Our littlest patrons are invited to this event with self-directed, developmentally appropriate activities especially for those who are not yet walking. No registration. Two-time Pulitzer Prize winning Cherry Hill author, Gil Gaul, will discuss his new book Billion-Dollar Ball: A Journey Through the Big-Money Culture of College Football. Read the New York Times review here. Everyone in New Jersey is eligible to Vote by Mail. Voting in New Jersey is easier than ever with the state's new Vote By Mail regulations. Cherry Hill's Municipal Clerk's Office is a great resource for your voting needs; click here to visit the Clerk's Office Voter Information Page, with links to the Voter Registration Application, Vote by Mail information, and to check your polling location. You can also visit the Camden County Clerk's page by clicking here. For more information on voting, contact the County Clerk’s Office at (856) 225-7219, or the Municipal Clerk's Office at (856) 488-7892. For more information on this or any other service or issue related to our residents 55 and older, contact Senior Services Program Coordinator Gaye Pino at (856) 661-4800, or e-mail gpino@chtownship.com.